June 9th, 2012 was our Ninth Annual Northborough-Southborough Night at the Cannons, and we brought 326 people! That is a new record for our program! 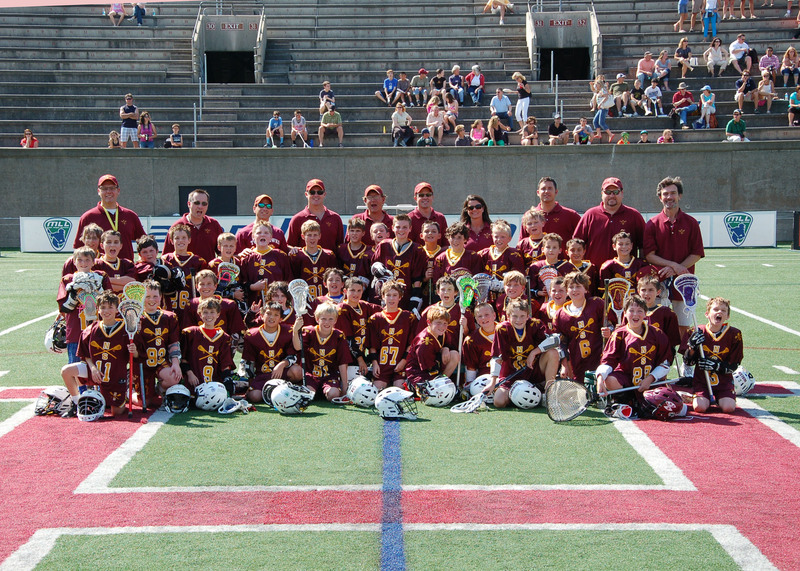 Our combined U11 teams played a contest against Plymouth inside Harvard Stadium from 2:30PM until 4PM before having a tailgate party and then enjoying the defending Champion Boston Cannons game at 7PM. Our boys also had a private Meet and Greet autograph session with Defenseman Pat Gaffney and the star player of the whole league, Paul Rabil! Then they formed the tunnel that the players ran through during introductions. June 9, 2012 - BOSTON, MA - The Cannons (4-2) suffered their second straight loss tonight against the Long Island Lizards (3-2), 13-10, at Harvard Stadium. 11,894 fans attended the game, setting a franchise attendance record for the second home game in a row (11,277 attended on May 12). In a close game with multiple lead changes, Lizards goalie Drew Adams was named Bud Light Player of the Game with 16 saves. The Cannons jumped ahead quickly with goals from Brian Farrell and Matt Poskay, both assisted by Paul Rabil. 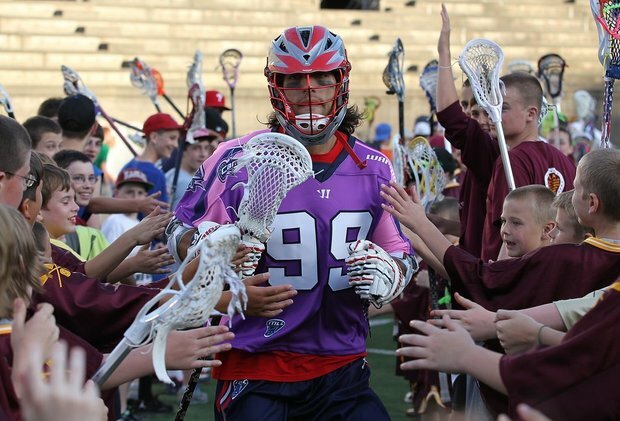 Rabil finished with a season-high five assists. The Lizards responded with three straight goals from Brian Langtry, Max Seilbald, and Ryan Young before Farrell scored his second to end the first quarter in a 3-3 tie. The Cannons and Lizards continued to go goal-for-goal in the second quarter until Max Seibald gave the Lizards a 6-4 lead with an unassisted two-pointer. Brad Ross scored twice and Poskay andKevin Buchanan added one each to take back the lead, 8-6. Albert Maione scored for the Lizards with less than two seconds on the clock, closing the Cannons' lead to 8-7 going into the break. Mike Stone opened the second-half scoring and Rabil followed with his only goal six minutes into the third quarter, but that would be the last point of the night for the home team. The Lizards went on a 5-0 run for the last 24 minutes of play, sealing the 13-10 victory. With the loss, the Cannons drop into a second place tie with the Denver Outlaws in the MLL standings. With a victory tonight over the Charlotte Hounds, the Chesapeake Bayhawks (5-1) take sole possession of first place. After starting the season 0-2, the Lizards have won their last three to pull into third. The Cannons' special jerseys, designed with the colors of the March of Dimes, will be autographed and auctioned off next week to benefit the non-profit. The March of Dimes is a non-profit designed to help moms have full-term pregnancies and research the problems that threaten the health of babies. About the Boston Cannons The Boston Cannons are one of the founding franchises of Major League Lacrosse, the premier professional outdoor lacrosse league. They began play in June of 2001 and currently host home games at Harvard Stadium in Allston. They won their first MLL Championship on August 28, 2011. Season tickets for the 2012 season are now on sale starting at only $115 for seven Cannons home games and Championship Weekend. 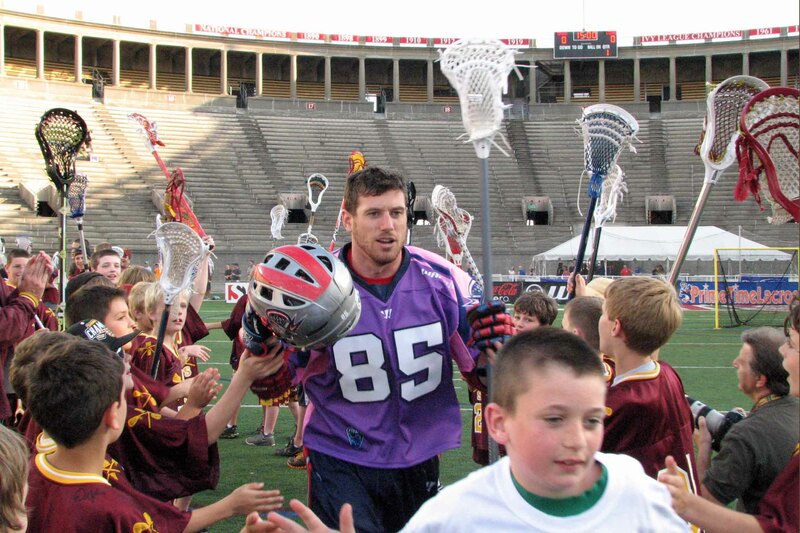 For more information or to purchase tickets, call 617.746.9933 or visit www.BostonCannons.com.